On the 19th Of May 1890 a child was born in Central Vietnam. His name was Nguyen Sinh Cung. Later because he had been arrested, jailed and then wanted over and over again he used the aliases of Nguyen Ai Quac and Nguyen Tat Thanh. One day a Chinese peasant died. This man was poor and had no known living relatives. Nguyen bought the man’s ID documents. 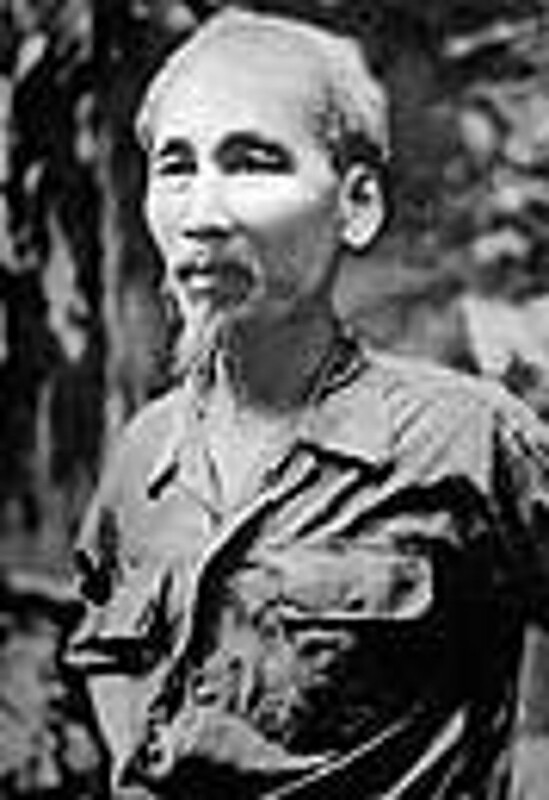 Since then he was known as Ho Chi Minh or Uncle Ho. He hated the French and fought to oust them from Vietnam. When the French left and the US came in he turned his hatred towards us. It had been the policy of the 1st Cavalry Division not to let Vietnamese on to Camp Evans. A decision had been made to allow Vietnamese barbers on. They opened their barber shop by the Post Exchange. Now the Post Exchange was within spitting distance of the Air Strip, POL (Fuel) Dump and the Ammunitions Dump. I’m not sure for just how long these barbers had been coming onto Camp Evans but they were evidently some very friendly men. On May 19, 1968, these friendly men forgot to show up for work. The Blues did not have a mission that day. I had been assigned to Perimeter Guard Duty that afternoon. Just before going on guard duty the Friendly VC/NVA dropped four ( to the best of my knowledge ) rockets onto Camp Evans. I believe two hit the air strip, one hit the ammunitions Dump and one hit the POL (fuel) Dump. The POL Dump had large 1,000 gallon blivet (rubber containers) of Jet fuel, Helicopter fuel, Diesel and Gasoline. 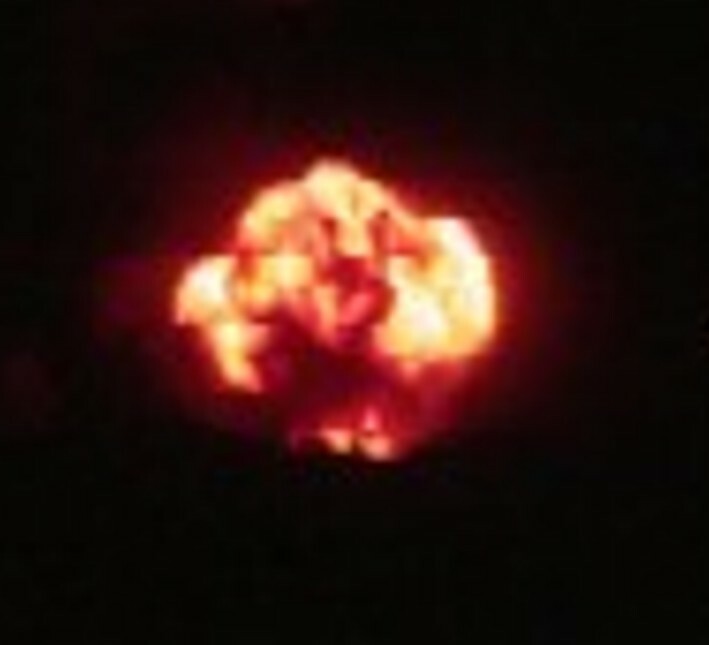 As they exploded through the night huge fire balls could be seen for many miles. 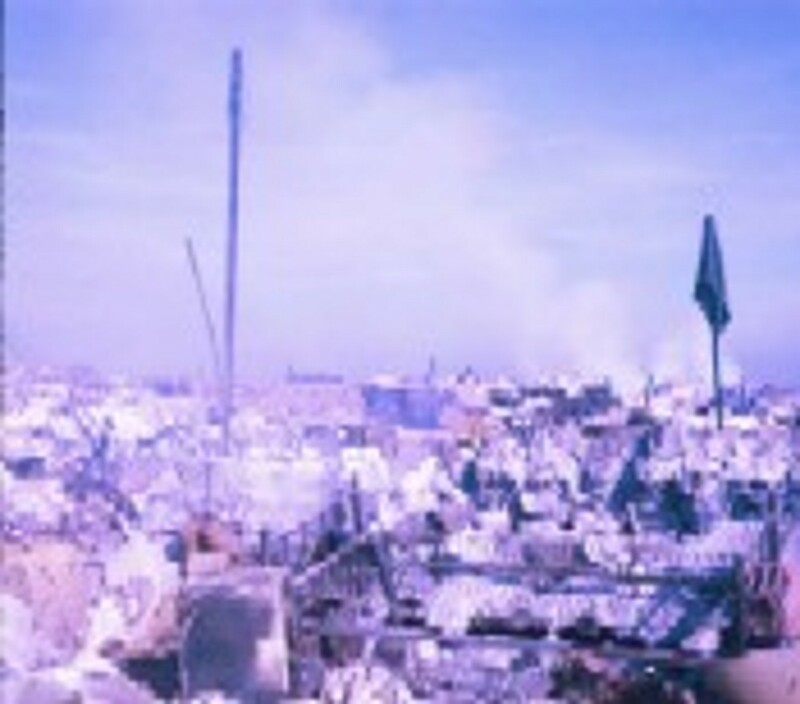 The Ammunition Dump sent artillery rounds flying through the air. As we moved out to the perimeter, chunks of metal and bullets could be heard buzzing as the went by. The good thing was as long as you could hear them they weren’t making contact with your head. On the perimeter, we had holes dug into the ground. On the sides we had sandbags piled four or five high and then a layer of PSP (Perforated Steel Planking) was laid across the sandbags and then another three or four layers of sandbags were stacked on top of the PSP. We got down inside but every time another huge explosion would occur the sand would start pour down inside. One of my greatest fears is being buried alive. Because of this, I crawled outside but quickly realized that if you sat on top of the bunker those buzzing noises would scare the hell out of me as they did being inside. To sit in front of the bunker was the only thing to do. You just hoped that if you sat still enough if there were enemy soldiers out there they couldn’t see you. The explosions seemed to last all night. In the morning, the true destruction could be seen. Needless to say, we did not have any ammo or fuel left. Our air field runways were unusable. Casualties were minimum thankfully. Damage done to helicopters, vehicles and tents were massive. It took several days to get the air field up and running. Until then the resupply planes would fly in low and drop their cargo. I guess what had happened was Uncle Ho was given a cake with candles and his wish was to stick it to the Best Damn Unit in Vietnam; The First Cavalry Division. Funny thing is the barbers never came back to get their clippers.